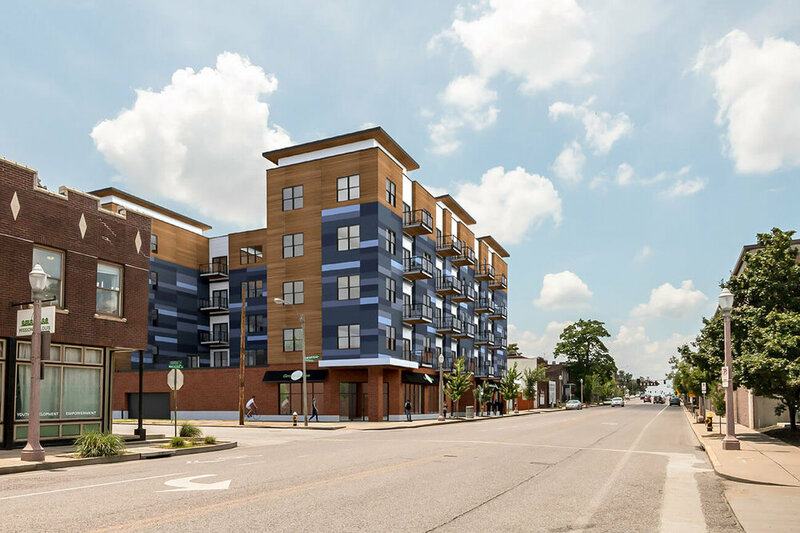 V Three Studios partnered with Restoration St. Louis, Inc. to create a new, multi-family residential building in the heart of St. Louis’ Grove district. The completion of this project enhances continuity of the streetscape and infuses vitality to the neighborhood by increasing residential density. 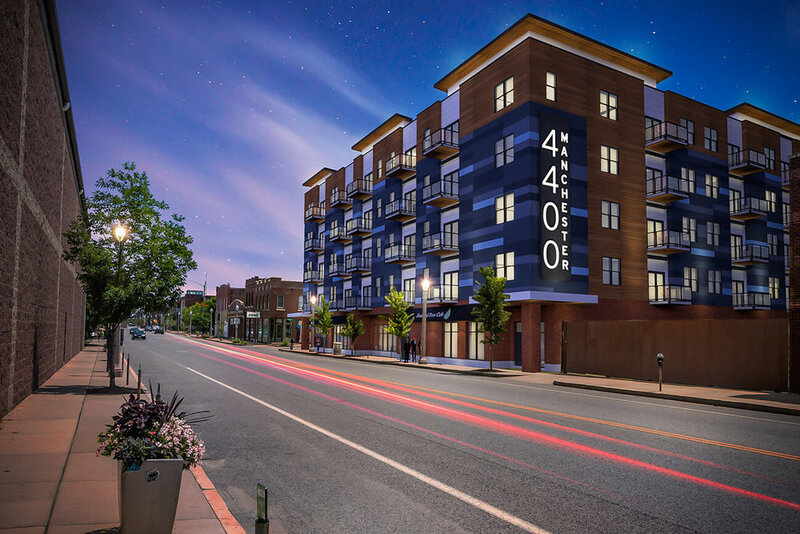 The five-story building located directly across from Urban Chestnut Brewing Company consists of a contemporary, urban material palette including masonry veneer, fiber-cement cladding, aluminum-framed glazed storefront, and projecting balconies on the upper floors. The scale of the building is expressed through a composition of planes rendered in complementary materials and colors that suggest multiple volumes; but that work together as a whole.